This year’s Bathurst 12 Hours may prove to be the last hurrah for Bentley’s current Continental GT3. 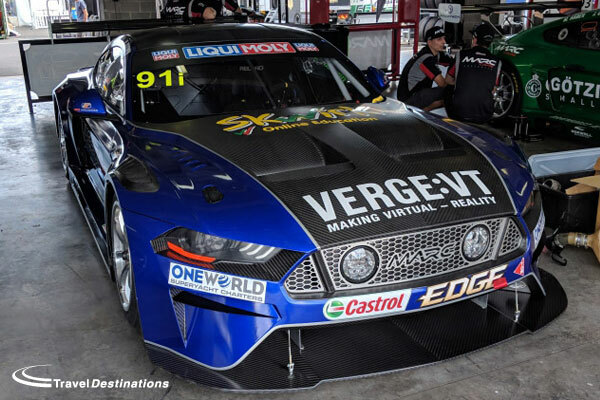 The car, which has been run by the Crewe-based marque since 2014, has yet to win at Mount Panorama (but came so, so close back in 2015 and 2016, and will have one last try to win it all this time before the new car arrives later in the year. The two Bentleys on the entry will be run, as ever, by newly crowned WRC champion M-Sport, which brings a slew of factory talent to the Mountain. In the No.17, Steven Kane will race with 2003 Le Mans winner Guy Smith and newcomer Jules Gounon, who moves over from the Callaway Corvette programme which won the 2017 ADAC GT title. And in the No.18, Andy Soucek is back, with Maxime Soulet and Vincent Abril, who is beginning his second season as a ‘Bentley Boy’ this year. It is certainly one of the older cars, out there, which in reliability terms is often a plus, but in just about every other department can be a hindrance. The size, and straight-line speed which the Continental GT3 is known for has always suited Mount Panorama though. A win here would be the car’s perfect send off. Audi, through each generation of its GT and prototype machinery, has kept on winning the big races, so the fact that the current R8 LMS hasn’t taken a Bathurst victory is somewhat of a surprise. The current R8 may well be the best GT3 car out there still in terms of drivability, reliability and speed. And because of that it’s won the Nurburgring 24 Hours, Spa 24 Hours and multiple championships across the globe. 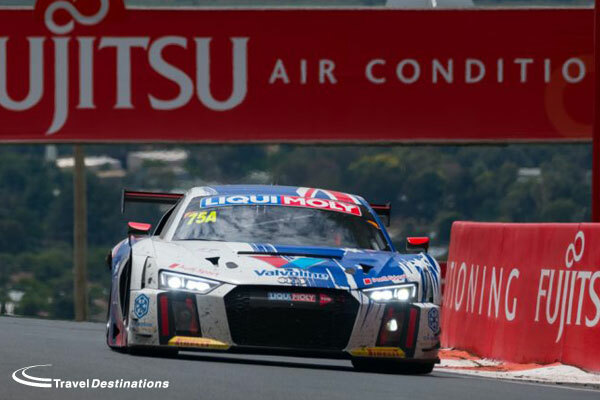 It’s big race left to win is therefore Bathurst, so for this year, Audi Sport has gone all out, and will run with the most GT3 cars in the race (six), with three of those in the Pro class. The big name entries here come from local team Jamec Pem Racing and Belgian ‘Super Team’ WRT. In the former’s two R8s, Supercars fan favourite, and former Bathurst winner Garth Tander will race with the experienced hands of Audi Sport drivers Kelvin Van der Linde and Frederic Vervisch in the No.22, while Chris Mies, Chris Hasse and Markus Winkelhock make for a potential world-beating German trio in the sister No.74. The team knows the circuit, and up against a lot of new teams, that could be key in them finishing high up the order. WRT meanwhile, will be making its Bathurst debut for the first time this year, and therefore eager to add a Bathurst victory to its enormous trophy cabinet which includes big wins across Europea.. Its No.37 car will run with Formula E driver Robin Frijns, long-time GT3 man Stuart Leonard and Dries Vanthoor, brother of Porsche factory ace Laurens. It’s a pacey combination. What can we expect from Strakka’s debut? Of the other marques represented in the 26-car-strong GT3 entry for Bathurst, Mercedes headline entry may be the most interesting. The Stuttgart-based brand will support Strakka Racing at this year’s 12 Hour, the former Le Mans class winner and WEC team, which moves to pastures new after a torrid first year in GT3 racing last year with McLaren. For its new programme with Mercedes, Strakka has reduced its effort from four cars last year, to two, in an effort to put as much focus as possible. 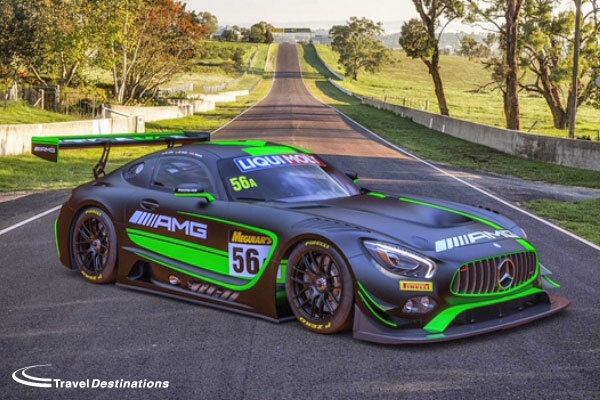 It’ll contest the entire Intercontinental GT Challenge with the pair of AMG GT3s – so Bathurst will therefore be a really important race for the season, the Aussie classic the IGTC season opener. In its two cars, the stronger crew is undoubtedly in the #56 car, which will run with former Spa 24 Hours winners Maxi Buhk, Maxi Gotz and McLaren refugee Alvaro Parente in the cockpit. The other features team owner Nick Leventis, his young partner in crime Lewis Williamson, Cameron Waters and David Fumanelli, who joined the team in Blancpain in 2017. Strakka’s only issue is its lack of experience with the car. It has been out testing at Silverstone and over in Spain, but has yet to race the AMG GT3. It’ll be a real baptism of fire, Bathurst not being the easiest track to learn, set up a car for and compete on! 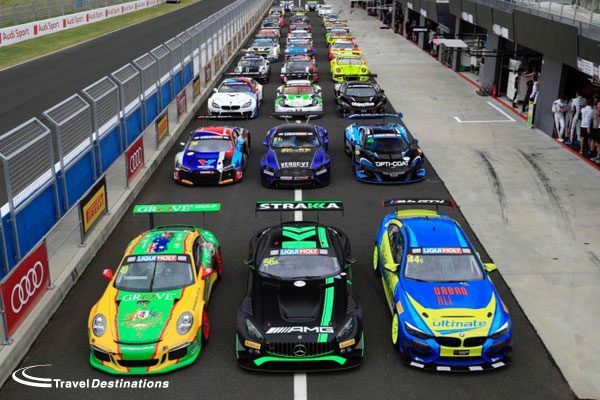 Anyone who’s watched the race before, will know that Bathurst 12 Hour is not a GT3-only race, the organisers welcoming variety with open arms. Outside of the GT3 ranks this year, there’s three other classes, one reserved for Cup cars, one for GT4s, and an Invitational category for just about anything else. In GT4, a category which worldwide is growing at a stunning rate, there’s a trio of brand new BMW M4 GT4s entered. 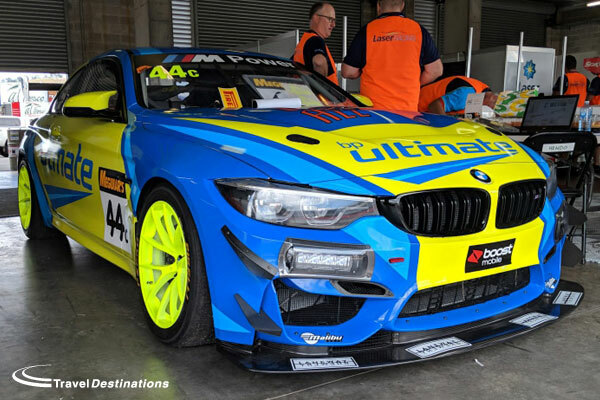 The car, which raced last year with BMW as a factory as part of its development, is now a full customer car, and will make its debut ‘down under’ at Bathurst. The big entry here comes from BMW Team SRM (which is factory supported) with Dean Grant, Xavier West and Cameron Hill making up its line-up. However, the other M4 GT4 teams in the running also look strong, MarcGT, Baigent Motorsport and Boat Works Racing eager to show off their new bits of kit.The key drivers among those are Kuno Wittmer racing with MarcGT, Matt Brabham (the third generation driver in his family set to take on the Mountain after grandfather Jack and father Geoff) and Aaron Seton who won the class in 2016, both driving with Boat Works. Up against Ginettas, KTMs, and a Porsche, it’ll be an intense battle for the class honours, will the M4 GT4 – a flagship GT4 car from the new generation – be up to the task? The Invitational Class for this year’s once-around-the-clock race is stacked with interesting entries. Made up mostly of privately developed Australian MARC Cars – big, beefy V8 Focus’, Mazda’s and new for this year, Mustangs too. And if that doesn’t grab your attention enough, then note that Class I is home to Daytona Sportscars older machinery too. This year Daytona Sportscars brings a pair, a single Coupe and Viper, the later let’s not forget is both superb to look at and quick, finishing fifth in class last year. Both will be fan favourites, and bring, as always, variety to an already diverse field. What’s fun about the Invitational class, is that it’s fast, furious, and taken very seriously by those involved. The cars all look great, sound great too, and are a big part of what makes the event special. Keep an eye out. 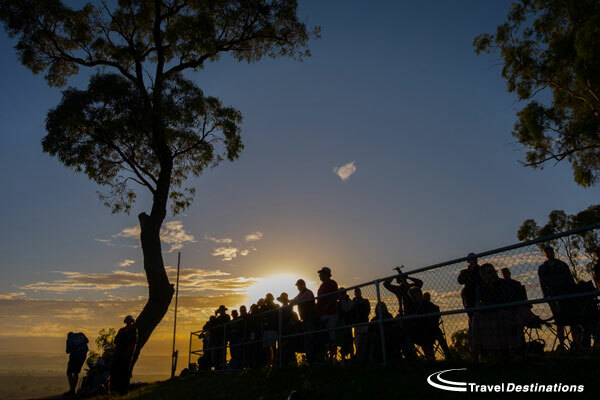 As the sun rises over Mount Panorama the competition will be hot! 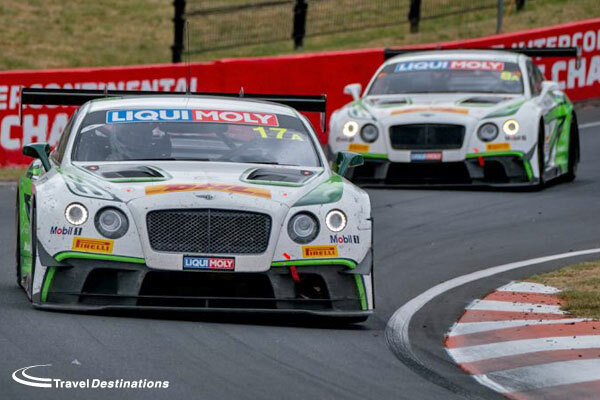 If you would like to join Travel Destinations at the Bathurst 12 Hours 2019, you can register by emailing Travel Destinations now.